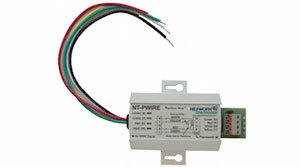 Network Thermostat has all the products necessary for your HVAC solution. To find a specific item, pick from the product listing below. Communicating thermostats allow full control and feedback of all functions and temperature readings on the thermostat, while giving complete control from a remote location. 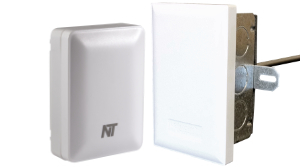 Net/X provides an entire family of remote sensor products designed to work in conjunction with each of the Net/X™ thermostat families. 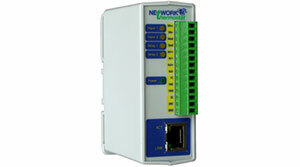 Net/X provides a growing line of accessory products for a myriad of application enhancements. 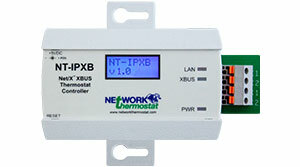 The Net/X family of Network Controllers and Wireless Coordinators are the interfaces between the software platforms and the Net/X™ XBus (wired) and StrongMesh (wireless) communicating thermostats. 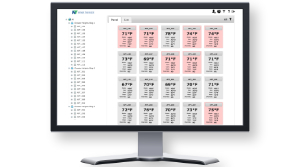 Network Relays provide complete control, scheduling and status via Net/X Command Center software or modern PC or Mac browser. 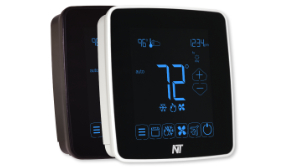 Net/X™ provides a myriad of software solutions, each fine tuned to the different aspects of the four Net/X™ communicating thermostat families.